Jennifer Jirous-Rapp is the Experiential Learning/ Apprenticeship Coordinator for the Colorado Department of Labor and Employment. She is part of  the newly created Work-based Learning Unit in Workforce Development Programs. 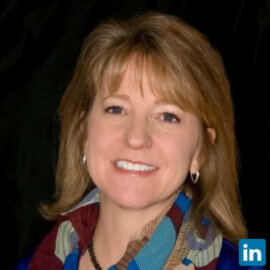 Jennifer has a strong background in education, workforce development and project and systems management. Her experience includes having been faculty at Pikes Peak Community College in Colorado Springs, CO, and also serving as the Department Chair of the CIS Department. She was the state-level Career and Technical Education (CTE) Program Director where she supported STEM and Arts with CTE educators at the secondary and post-secondary level and led state-level efforts to increase participation of women and other underrepresented populations. Most recently, Jennifer was the State Programs and Pathways Manager at the Colorado Department of Education where she managed the Adult Education and Literacy Grant. Jennifer has a B.S. in Computer Information Systems from the University of Wisconsin-Stevens Point, an M.B.A from the University of Wisconsin-Oshkosh, and a Ph.D. in Educational Leadership, Research and Policy from the University of Colorado – Colorado Springs.